I will guess that the attachment/pics added to my post above are the handywork of Matt our ever vigilant moderator. Thank you Matt. I've printed off the 4 pages from Dan's link and also waiting for a copy of the magazine from Ebay. I tried sending an inquiry to the V8 Registry but it kept wanting me to attach a file in a required field before I could submit. They either didn't receive it or got it 3 times, I never did get a verification that it was received. I have no desire to own or profit from the sale of this car. I could trailer or work on it as part of my business activities. I did notice that it has exhaust manifolds, not headers. But this thing speaks to a time in hotrodding history before LM Corvairs with their better suspension and such were available. Sure there's lots better stuff available these days but in 1963 not so much. This Corvair fixed up at Back To The 50s show with a copy of the HRM on an easel would be so cool. I need to calm down since I've already got too much to do. I need to remind myself that the V-8 Corvair thing isn't my cup of tea. But someone in Minnesota should do something with this Corvair. 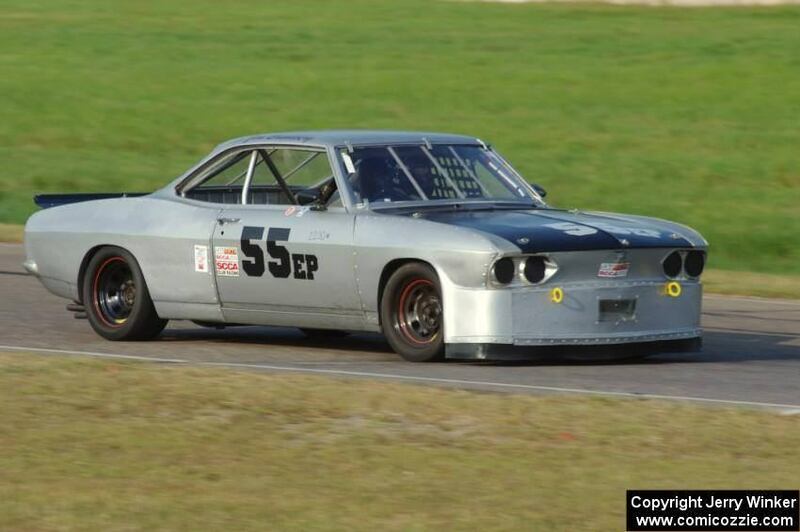 I have no reason to believe that this is the Skip Huth Corvair. I've been asking around with some guys that did V-8 Corvairs around here and no one seems to remember the Skip Huth Corvair in particular, much less what ever became of it. I sent the owner Chuck Rust contact info in case she wants to do something in Los Angeles. I have contact info here in case someone is interested. It's not my place to share it publicly. I'll certainly follow up here if I have opportunity to take pictures or learn more. I agree Mel. 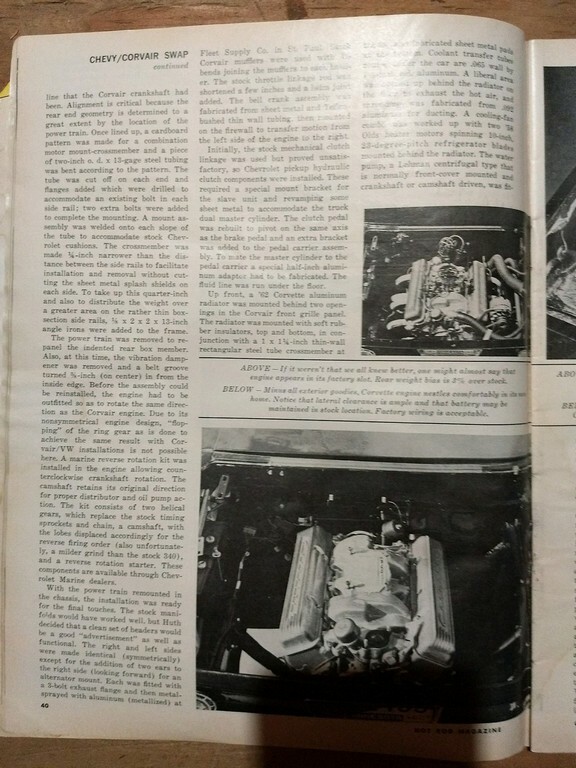 There is another HOT ROD mag article with an early and SBC in the front. Same time period, very early 60s. I have that magazine at home too. The owner talked to Chuck Rust in LA and is enthused about the Corvair club revelry. She wants me to see about getting it running and assess the general condition, it will be a while before I can get to it, I've got lots of Corvair work lined up. She looked the body over carefully a few months ago and didn't think it had rust issues. I've given LA and local MN contact info to a few inquiries as selling the car is still a possibility. I'm glad that the possibilities are moving in a good direction. That could be turned into a nice cruiser and be great at a car show, may not want to go for performance but would be an awesome nestalgia car. I brought this up at the Corvair Minnesota meeting last night. An old timer said "If you're talking about the guy from St. Paul, I think he was killed in that thing, I think it was a little squirrely". He didn't remember much more like if it was in the 60s or when, just "A long time ago". I'm not very good at Internet searching and haven't found anything about Skip Huth or Huth Automotive Engineering, Only an unrelated Huth Auto Repair back east somewhere. None of the old local Corvair V-8 hotrodding guys I've talked to so far remember anything. I'll keep looking. 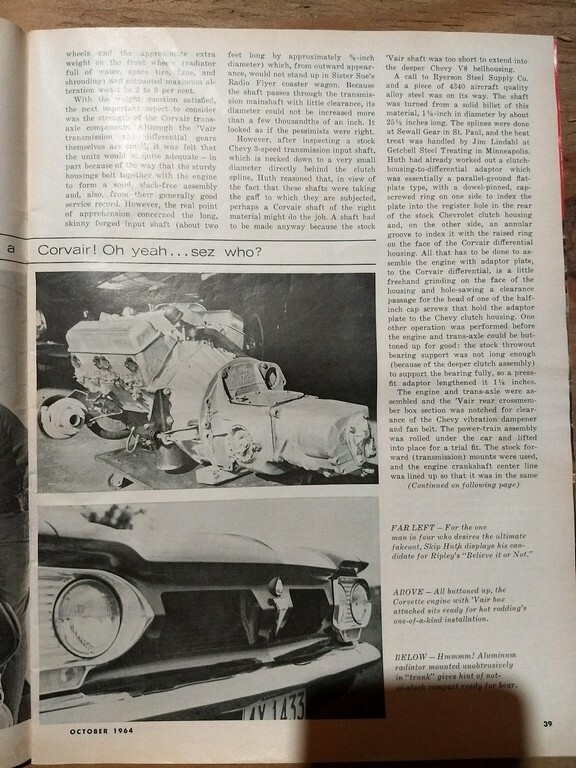 The new information adds to the speculation that it's not the same Corvair that was in Hot Rod but maybe it was built from a $348 kit mentioned at the end of the article. Even though the news is grim, it still speaks of a chapter in hotrodding history. 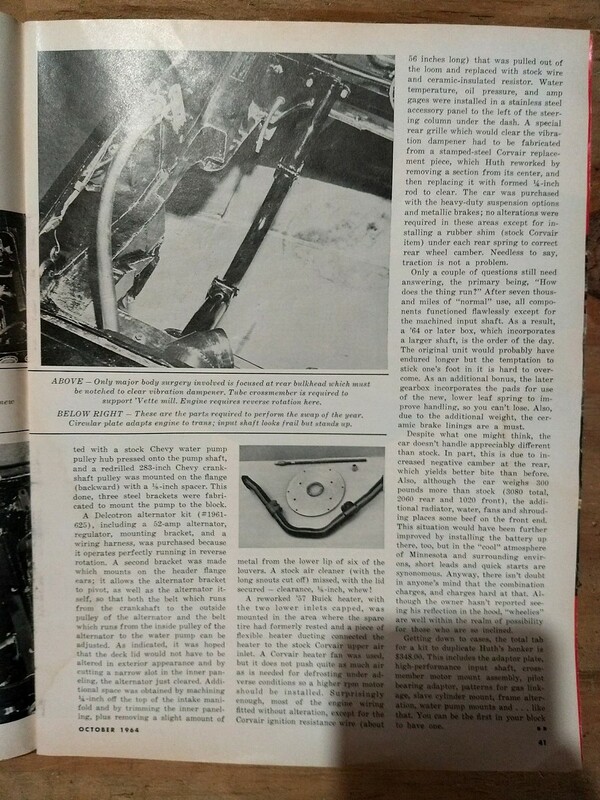 Hot Rods and racing were dangerous in the Golden Age, probably part of the intrigue. I still find it interesting and the owner wants me to see about getting it going. I think she would entertain offers, she's torn between memories of her father and practicality. Related: About a year ago, there was a younger guy on one of the other forums who's recreating the early rear V8 car his father built back in the day. Grimly, I think it's the same car mentioned at your meeting because the guy's father crashed the car and it killed him. Several folks questioned the wisdom of recreating the car. When and where did that one happen? Was it fairly recent or way back in the day? I talked to an old hot rod guy from St. Paul. In 1964 he was feeling pretty sporty in a 102 with a 4 carburetor conversion and raced a guy from the lights on University Ave and got a whupping. At the next light he asked the guy what it had in it. Turns out it was Skip Huth with a 327. He says Skip Huth was killed in the Corvair in early 1965 on a high crowned Wisconsin road, traveling at speed when a big gust of wind blew him off the road. Some time later he came across the powertrain from the Skip Huth Corvair sitting on a Speed Shop floor located on University off Snelling in St. Paul. 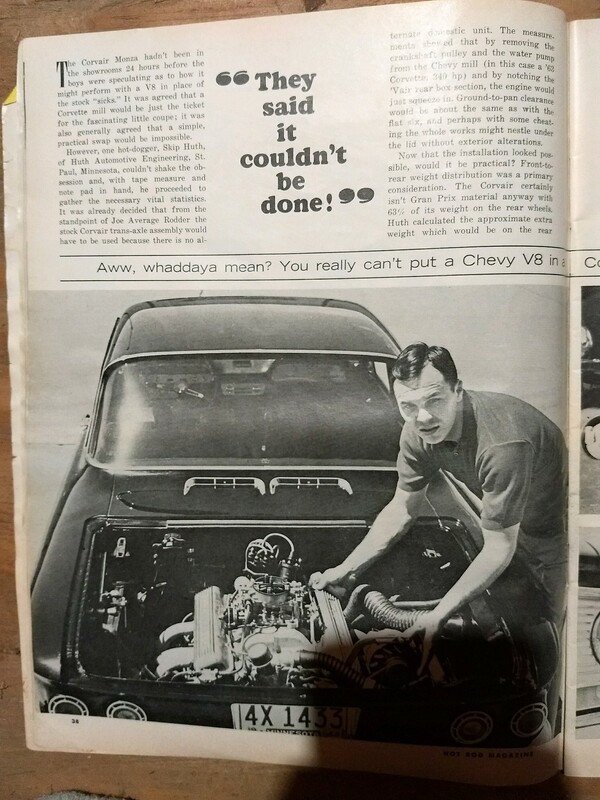 That shop is long gone and he doesn't know what became of the powertrain, it's possible it's in the Corvair I'm associated with, there's probably no way of knowing. It would be interesting to know if Skip Huth ever sold any kits. It sure gives me something to talk about when I meet old hot rod guys. I mean old guys more than old hot rods but it's surprising sometimes how much young guys know about old times. I still contend that it would be a very cool piece at Back To The 50s show. I wish I had a lot of time and money. Mel- you've had a rear-mounted V8 EM for years. How is the handling? I too wonder about the old "gust of wind" stories that we always hear. 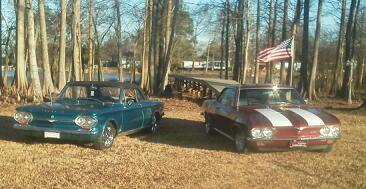 I'm looking for contact info for Chris Jack on the Corvair Owners Group Facebook. 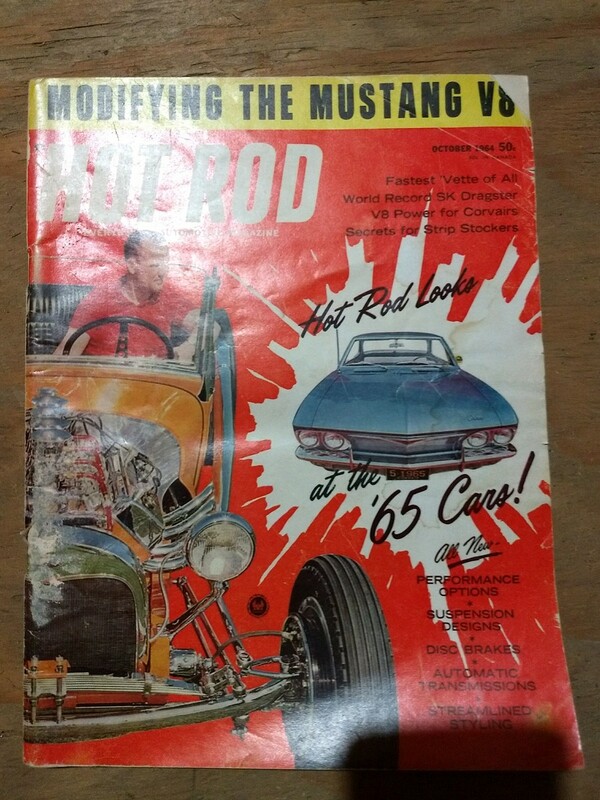 He's the grandson of Skip Huth and I find the Hot Rod magazine thing very interesting and wonder if the 62 I'm going to be working on is related. I've never joined Facebook and I'm reluctant to do so, sort of an old dog and new tricks thing. I also spend way too much time at the computer as it is, I don't need another black hole of interest. As a slightly-related matter, I still have the Tempest stuff that I had from the Toy. This includes two Tempestorques, one with a 327 bellhousing heliarced to it. Two differentials, assorted bits and pieces, including an input shaft/adapter I made to get power into the assembly from the 327. I rebuilt the one automatic, way back when, with clutches and such. cheap to a good home. I don't know how different the Tempest trans is from the Corvair, but it did have the different name cast into the side of the case. > be working on is related. > is, I don't need another black hole of interest. Just heard the news on the radio less than an hour ago, Facebook has been hacked and the personal information of over 50 million users has been compromised.